She pairs big-firm experience, knowledge and skill with small-firm attention to her clients needs and concerns. Her practice makes top-shelf legal help available to those in need. Contact Kimberly A. Graham today to discuss your case. Injured? Not sure you have a case? Need help? Wrongly accused? Attorney Graham has experience getting benefits for workers compensation claims that have heretofore been denied. Attorney Graham has the knowledge and experience to resolve all types of criminal charges. Attorney Graham is able to educate clients about the fact that they have a case, and then succeed in resolving it for them. Attorney Graham is known for bringing strength and compassion to the toughest of legal battles. She is respected among her peers and is BV-rated by Martindale-Hubbell’s Peer Review Ratings. Attorney Graham has Spanish and Serbo Croatian staff persons. For effective legal representation in the Hartford, Middlesex, and surrounding Connecticut counties, contact Kimberly A. Graham today. "-All what I can say is that I had a great lawyer and an excellent representative for my workman’s comps case. Definitely I would recommend the services of Attorney Graham. Abdeslam C." -Abdeslam C.
"-Attorney Kimberly Graham went above and beyond on my behalf. She not only offered legal advice, but also provided personal support. This was in no way an easy battle, but with her by my side it made a difference. 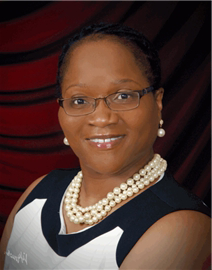 Portia W. " -Portia W.
"-She cares for her clients. Andrew W." -Andrew W.
"-Kimberly Graham exemplifies qualities of expertise and professionalism. I would hire her services again if they were to be needed. Thank you so very much Atty Kim. Donna W." -Donna W.
"-Really great work and communication. Great person better lawyer. David S." -David S.
"-It was great working with attorney Graham and her staff. I would highly recommend her. Kelly N." -Kelly N.
"-My experience with Atty Graham and her staff was very professional. I would gladly recommend her firm to others. John S." -John S.
"-Attorney Graham took on a task that was not in her line of expertise and excelled. She put forth 150% of her time and knowledge to assist us in meeting our obligations as co-conservators and then administrators of our cousin’s estate. She made it easy. She gave us the guidance we needed to succeed in all the legal papers. Attorney Graham is not just an attorney to our family, she has become a very dear friend. P.S. The staff was friendly, helpful and professional. Maxine S.; John S." -Maxine S.; John S.
"-All I have to say is the best and I am going to recommend everybody about the quality of Kimberly Graham and her staff. Edin J." -Edin J. "-I want to thank Kimberly Graham & her staff for all their help. I’m so grateful for everything she did for me & I will always thank God for her help. And I will make sure that anyone I know will know what a good attorney she is. I will recommend her to everyone I know. Thank you Kimberly. Keep up the good work. Maria C." -Maria C.
Experienced Hartford Attorney makes People her Priority. Workers Compensation, Personal Injury, Criminal Defense and Real Estate Closings.